HENSOLDT will deliver its IFF (Identification Friend-or-Foe) interrogators to the French armed forces for VSHORAD and SHORAD (Very Short Range and Short Range Air Defence) applications. The contract for the delivery of 134 MSR1000I IFF Interrogators was successfully qualified by the French Defence Procurement Agency, DGA, in December 2018. These monopulse secondary radars are destined for integration on the French Army’s MISTRAL (man-portable air defence system) and MARTHA air defence command and control stations. These IFF interrogators will perform NATO IFF interrogation together with the mini crypto-computer QRTK6NG, also manufactured by Hensoldt France. Following this, the first tranche has been notified and 41 MSR1000I compliant with the STANAG 4193 Edition 3 will be delivered in 2020. The French very-short-range and short-range air defence platforms will then be able to perform mode 4 and mode 5 interrogations. IFF systems precisely identify ships and aircraft by automatically sending interrogation signals which are answered by so-called transponders onboard friendly aircraft or ships. Thus, IFF enables field commanders to quickly distinguish friendly from hostile forces. Unlike Mode 4 used hitherto, Mode 5 employs sophisticated encryption techniques to avoid hostile signal manipulation, thus ensuring that the identification process is absolutely reliable and secure. With the decommissioning of Mode 4, “Mode 5” needs to be introduced in all western armies, then being a precondition of joint operations of NATO and allied forces. HENSOLDT presently supplies IFF equipment to customers all over the world like Matra, Airbus and Siemens among many others. The company is currently under contract to upgrade German, French, UK, US and other armed forces’ platforms with IFF systems using the latest ‘Mode 5’ standard. It has already delivered IFF systems – including crypto devices – to ground and naval platforms of 42 NATO and NATO-allied nations. In France, the company’s equipment is deployed on the “Charles de Gaulle” aircraft carrier, the Rafale and Mirage 2000 combat aircraft, the NH-90 helicopters and several air defence platforms. 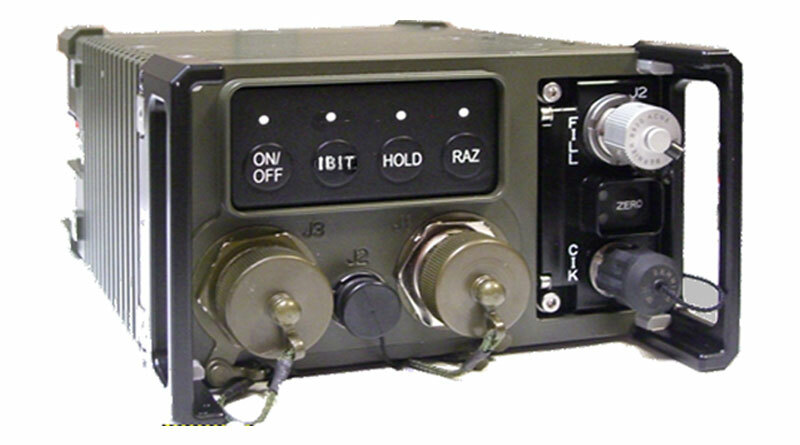 In Germany, the company has established the air traffic control/IFF network of the German Air Force and delivers interrogators and transponders to a number of airborne and naval platforms. In total, HENSOLDT has about 450 IFF systems under contract for more than 80 platform types.